Reliable Business. The Tecra notebook, designed and produced by Toshiba, the Japanese giant, is a reliable office companion. The current A11 series attempts to attract customers with its price range and business quality features like a sturdy case and a variety of ports for extensive connectivity. What it comes down to is whether you actually need everything that Toshiba has thrown into this machine or if you would be better served by something a little thinner, sleeker, and less utility-laden. But if you need a notebook computer that includes everything from Serial ATA to serial RS-232 and like having a host of handy utilities just a click away, the Tecra A11-S3540 might be just the system for you. 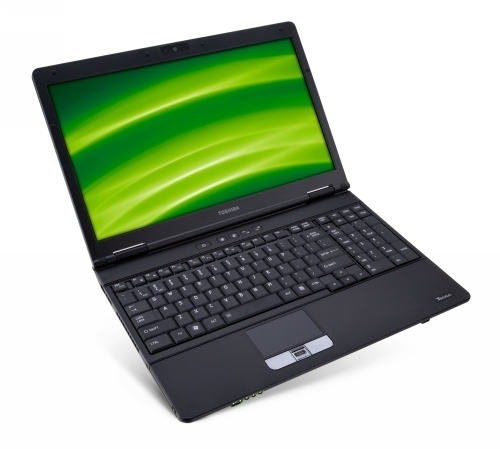 In the Tecra A11, Toshiba has created a very capable and affordable system for small business users. For $879, you get a fairly powerful processor, useful productivity features (such as the ability to create a hotspot on the fly), and budget-minded security utilities like Secure Digital Token. And if all that fails, Toshiba’s three-year warranty is very reassuring. Lots of elements make up a good laptop: powerful performance, long battery life and the screen. The Toshiba Tecra A11 stands out thanks to its fantastic screen; there’s no irritating reflections to deal with, and the widescreen aspect ratio makes multitasking lots of applications a pleasure. 77.4%: Esta evaluación no es convincente. Debe ser considerado que difícilmente existen portátiles que reciben una evaluación abajo de 60%. Esta portátil es evaluada abajo del promedio, esta realmente no es una recomendación para la compra.